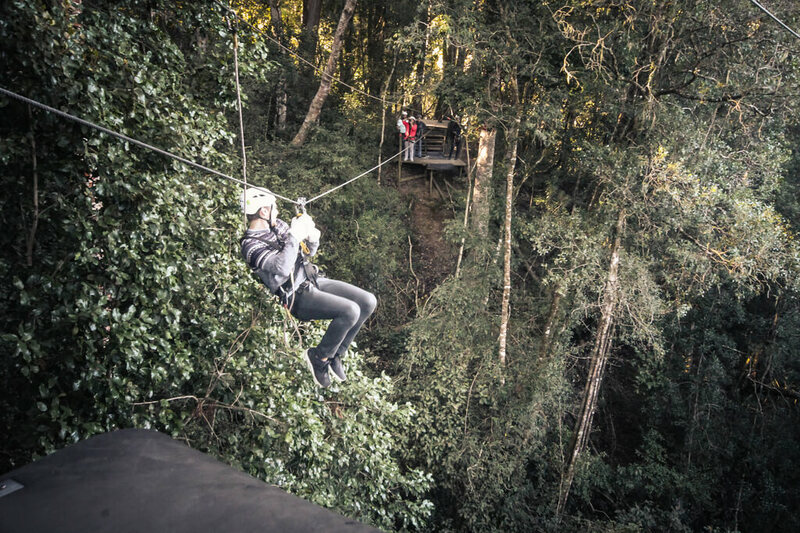 When you mention Canopy Tours, people begin to question your sanity as they cannot quite grasp the meaning of the terms… Summarised, picture yourself Zip Lining 30 Metres above the forest floors, from one platform to another. This is how we spent our day… How did you spend yours? For those that do not know the area, Storms River is the main river that runs through the river mouth of Tsitsikamma National Park. We hiked here earlier in the month… Click Me! Its beauty alone is worth exploring. On arrival you are welcomed by friendly enthusiastic staff. Usually on these types of tours the staff have a script to read from making it that little bit awkward. 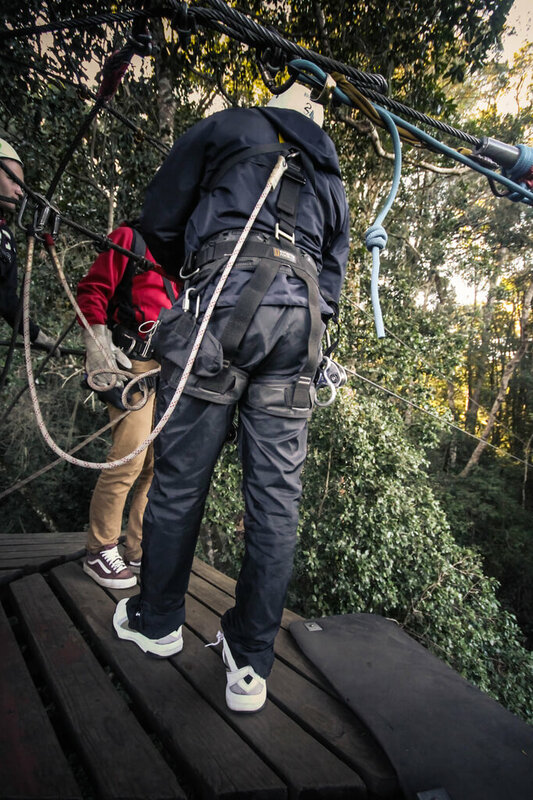 The team here at Unzip Adventures rewrote that script, making it fun and a memorable experience from the word GO! 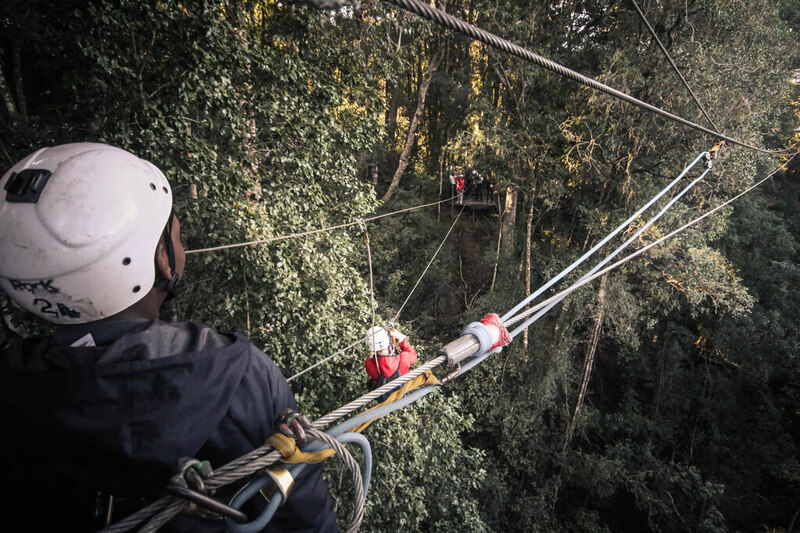 After the initial introduction we were taken to a small room to discuss the safety, and understand the process for sliding the various Zip Lines. Given our equipment we set off to “suit up” ready for the rest of the day. After jumping in the truck to take us to the forests we arrived within a few minutes and hopped out ready to begin our adventure. 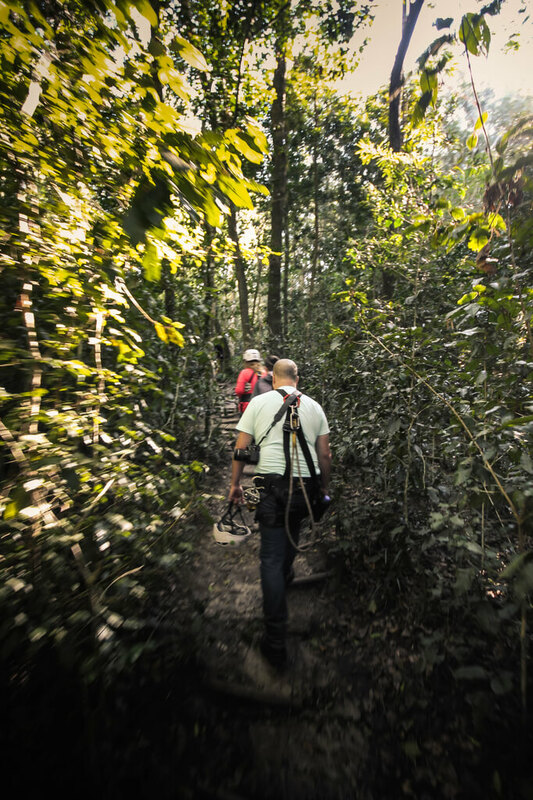 Already you begin to witness how special this experience is as if you were in an Enchanting Forest. 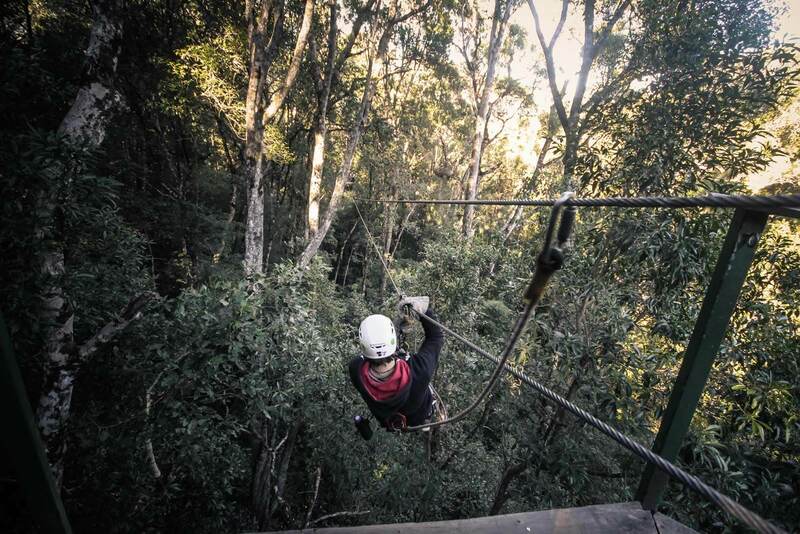 The first platform you begin at is a slow and steady Zip Line to Ease you into the Tsitsikamma Canopy Tours experience. As you finish the first line you are unhooked and attached to the tree itself to prevent you from falling. At first it may seem a bit surreal, until you look down and begin to realise why exactly they do that. 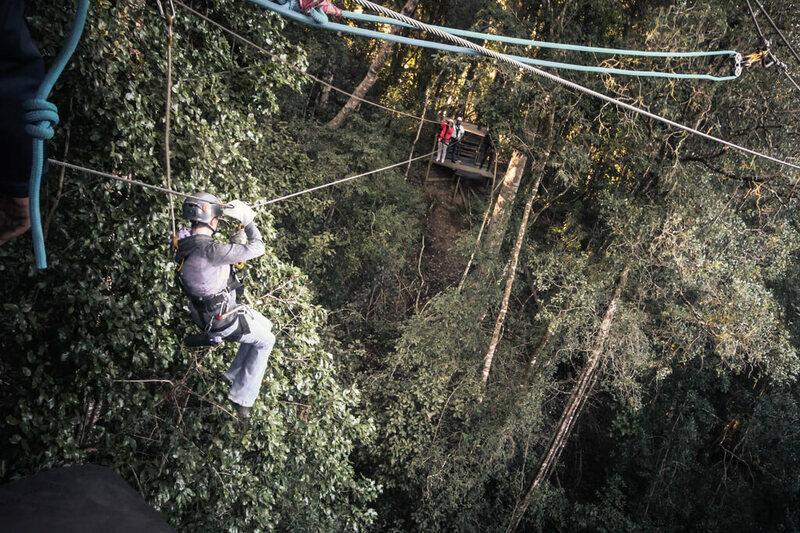 Each Zip Line starts at a platform and ends at another platform. 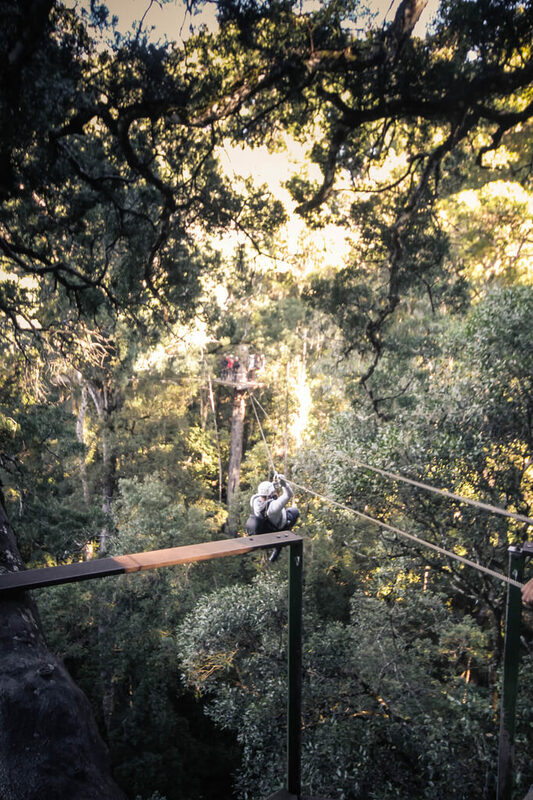 The platform is a wooden floor attached high up in the tree offering a 360 Panoramic view of the forest. 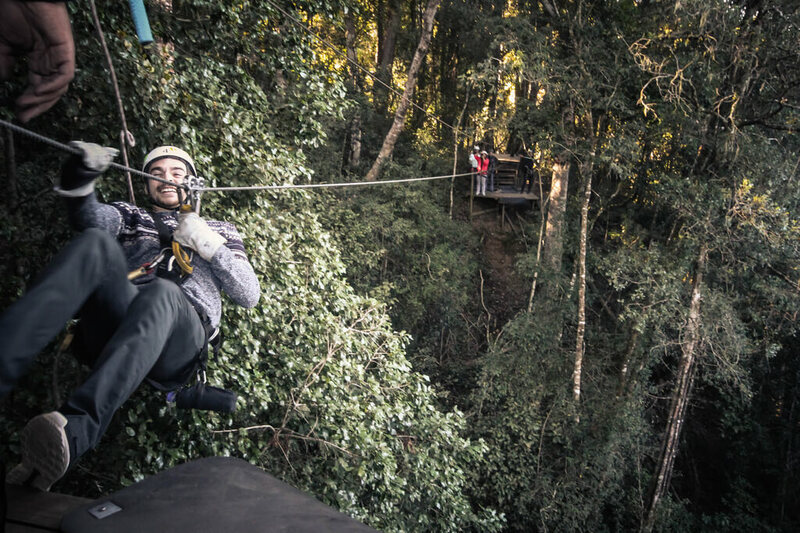 Imagine being 30 Metres up, sliding through the Forests like Tarzan. It may be the only real time you feel alive and your primate instinct kicks in. Some refuse to look down but, part of the experience is seeing the whole thing from different angles. Some of the lines are faster than others. They class the slower (non-braking) ones as free fall as you are able to let go and experience the whole thing. It may feel unnatural at first, but try it! 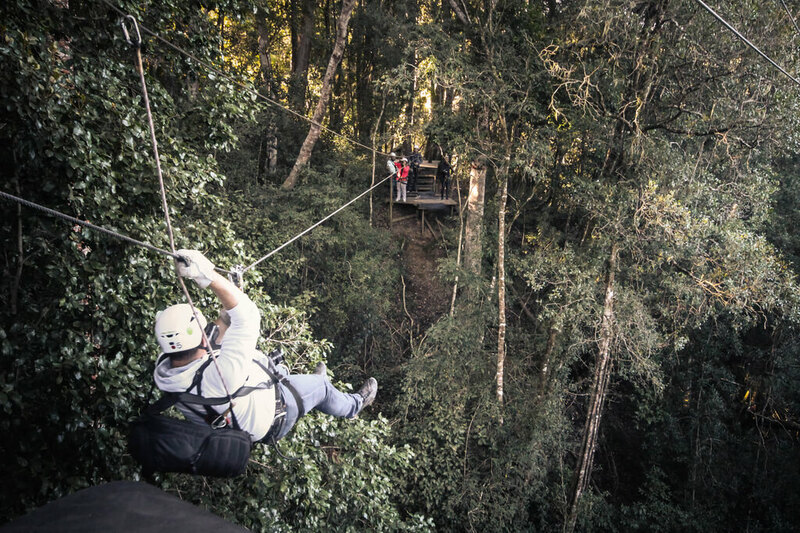 As you slide down the Zip Lines, you definitely feel the wind against you as you fly through the sky. There are 10 Lines in Total. Some faster than others, but it breaks up the whole experience allowing you to firstly get used to the speeds and then later adapt to not braking as much. The longer Lines are the most fun, but even those are over in minutes. 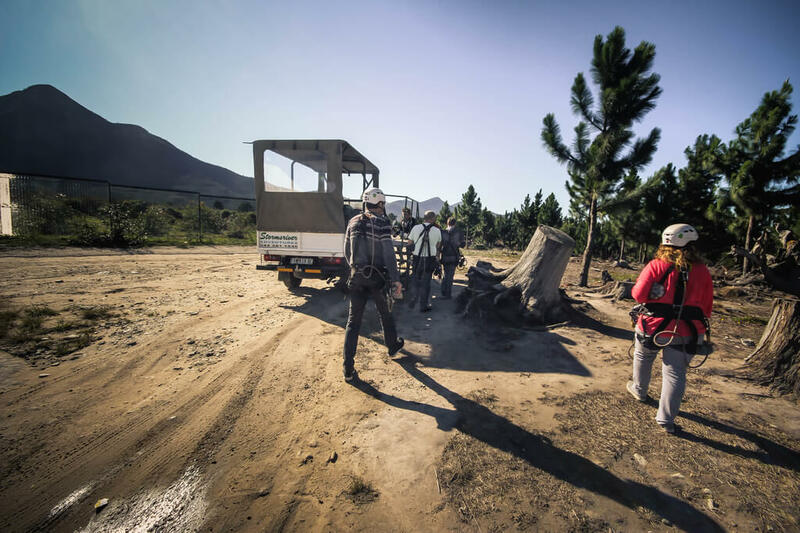 After finishing the Zip Lines, you are then given water for a short hike back to the vehicle to take you back. They class it as a hike but its more like a short walk, which any one is able to do no matter what their fitness levels are. It truly is beautiful though as you wander the forests unknown when the experience will end. During the briefing you are asked what you would like in your toasted sandwich at lunch time. On arrival back at base the food is ready for you alongside your request of drink. Chicken Mayo with Chips… You cannot go wrong! 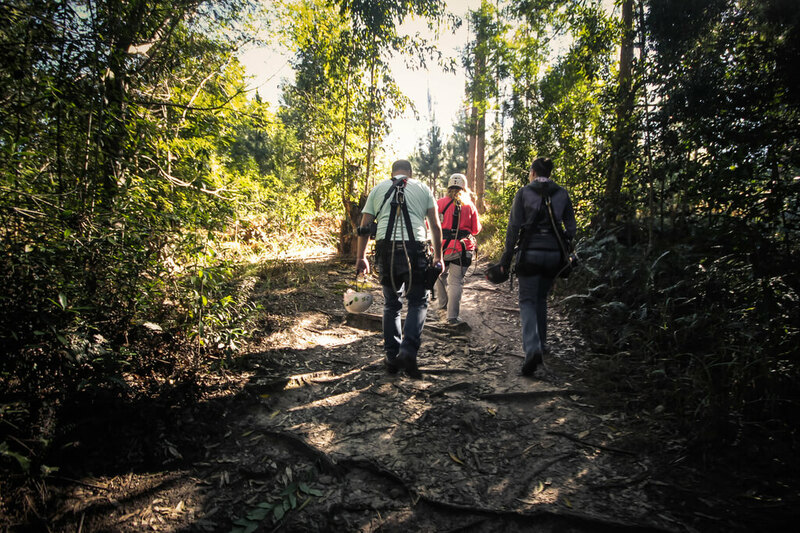 The whole day was organised by Emma, at IGersGardenRoute… We are so grateful for the whole experience, and quite frankly if it wasn’t for people like this sharing experiences we would never have known. Whether you do it individually or as a group make sure you go and experience it. If you are looking for more in the area, make sure you get onto Instagram and follow this amazing account for more! The day itself was an experience, let alone meeting great people. 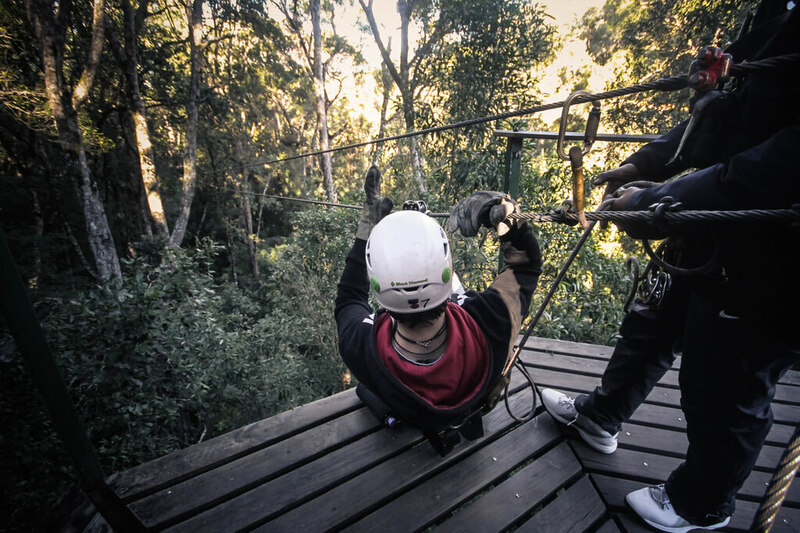 We always set ourselves a task of getting out of our comfort zone, whether it be meeting new people or some sort of adrenaline sport… In this case we did both! So guys, without mentioning all your names, thanks for making our experience so much better! It wouldn’t have been the same without you. Sadly carrying a camera around to photograph such an event isn’t for the faint hearted. With the harnesses and straps it limits your movement, so the photography for the day lacked. Plus typically being the last to go meant the only shots I got were of peoples backs, but either way the memories will stick for a lifetime. The whole experience takes approximately 3 Hours, due to briefing, lunch, and of course the main activity. Departure times are every 30 minutes, and they are conducted in all weather conditions. The price for the event (at time of writing this) is R565 + R30 (concession and permit fees). 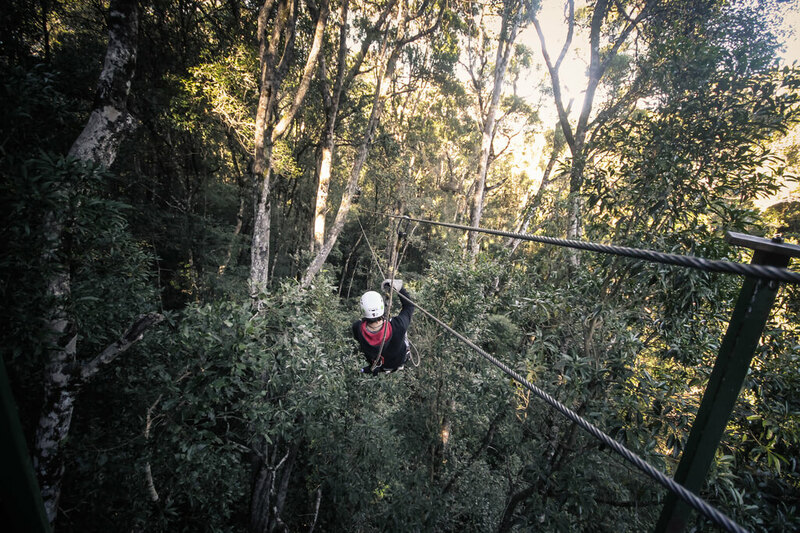 Totalling at R595 per person. The whole experience was a great day out, in the area there is plenty more to do and see to make a full day of it. 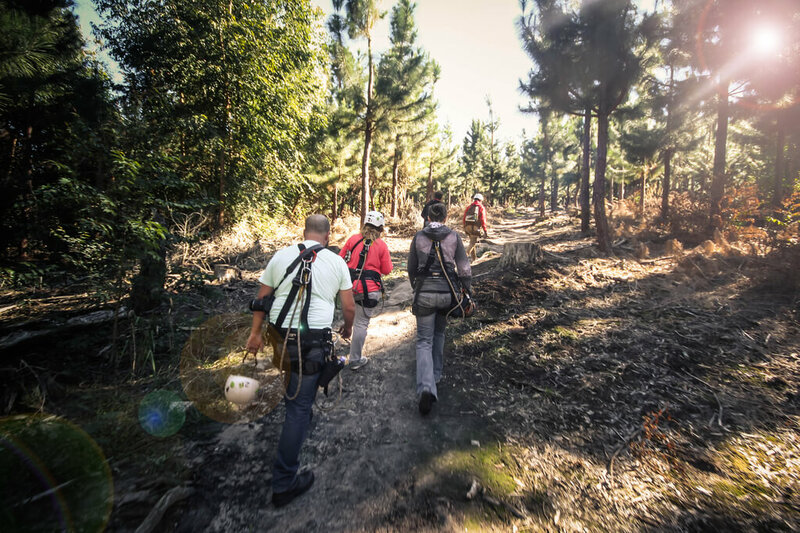 From Segways, to hikes Tsitsikamma is an amazing place! Make sure you are wearing the appropriate clothing, and take a camera!